M6 thread (6mm threaded hole) and 12mm length nuts. 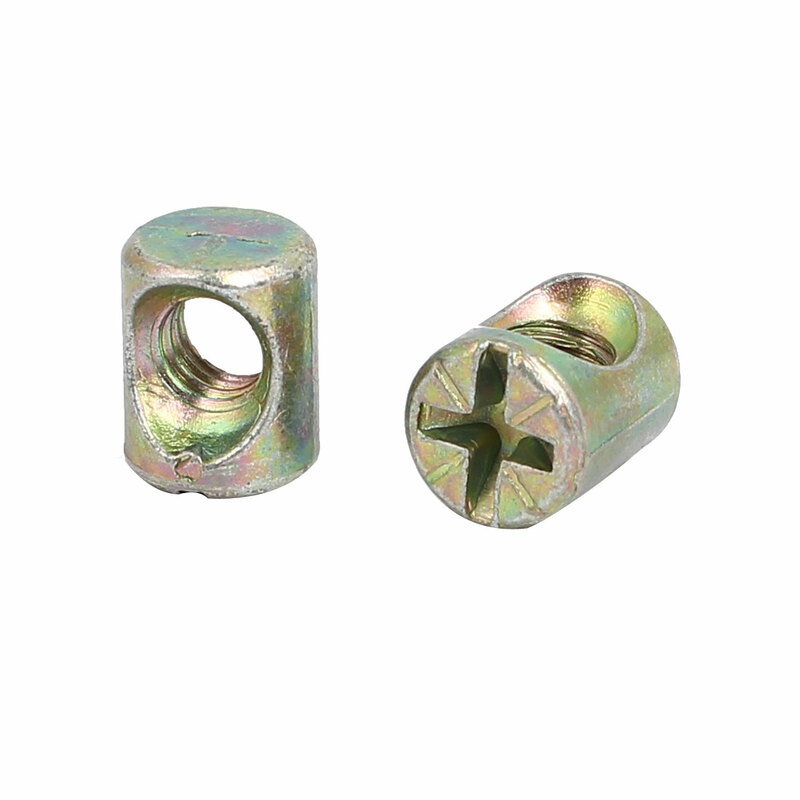 These nuts are widely used in the assembly of beds, cots and flat pack furniture. Overall Length: 12mm / 0.47"